Adapting to or protecting systems on a changing planet. What scientific, technological, and environmental metaphor would describe our world? "Let us accept the proposition that nature is process, that it is interacting, that it responds to laws, representing values and opportunities for human use with certain limitations and even prohibitions to certain of these." 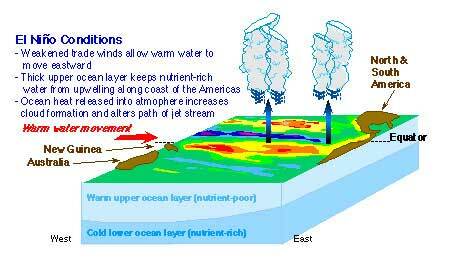 Southern Ocean Oscillation, in the Indo-Pacific Oceans. 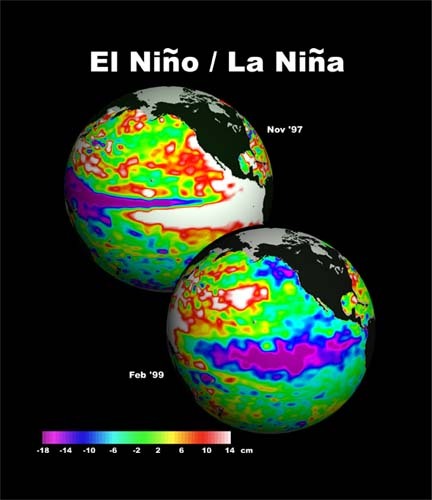 Sea surface temperatures in La Nina and El Nino event years. 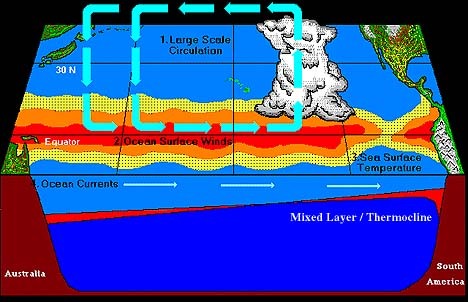 The southern ocean oscillation is an example of a significant physical change in the conditions of the Indian and Pacific Oceans that have global ecological implications for people living at different ends of the earth, on literally opposite shores communities are affected by the same physiochemical changes. An Island in the stream of life? Spaceship Earth was the term used by Bukminster Fuller in 1960s to define the limits of the world we inhabit. As Gaia's child, we are tethered to our mother still by the unseen umbilical chord, whose entwined systems of water transport, nutrient exchange, waste recycling that we study as separate strands, is really one entity nourishing our lives in an otherwise immense universal emptiness of quarks, atoms, galaxies and time holes that swallow matter as fast as the cosmos swallows our imaginations on a star lit evening. We need a new approach to comprehending the complexity of the tethering hold this water planet has on our beings, the importance of human choice in how we live healthy lives and consume the land's bounty, or else we will perish as our ancestors did in full ignorance of our responsibility in cutting the ties that bind us to the world that gave us birth, nourishes our senses and provides us with the luxury of illusions. Only we can decide if the intrusions we have made into our life support system will yield knowledge to help us repair the damage, quibble over the means to restore our nourishing seas, air and life, or live in the illusion that we are "thinking," ethically imaginative and creatures capable of changing our habits. per capita consumption rising at a faster rate than the population growth rate. persistent organic pollutants undermined assimilative capacity of water and air. carrying capacity of land to sustain demands declined after 1960s. 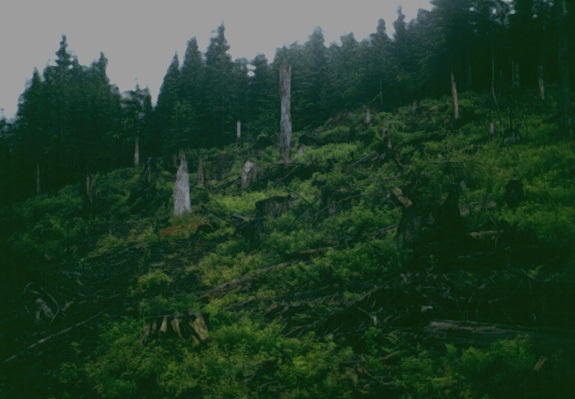 Clear cut section of Oregon coastal forest. 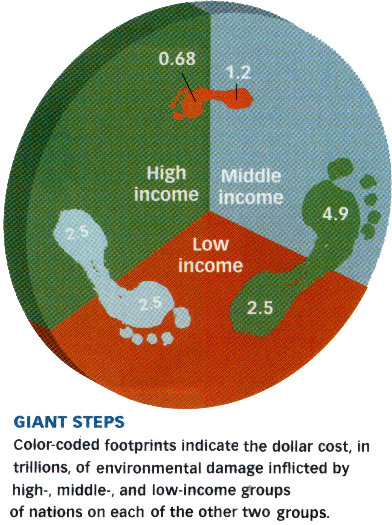 Forests are many things, but they are significant sectors of the global carbon cycle. Photosynthesis takes carbon dioxide from the atmosphere and transfers it to vegetation, while respiration releases carbon dioxide back into the atmosphere. These processes are shown schematically in the figure below. Schematic representation of the global carbon cycle, showing the stores of carbon and the fluxes (exchanges) of carbon between them. 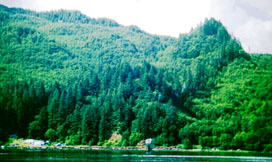 Changes in climate have a significant effect on the carbon cycle. 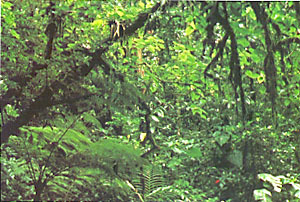 Increases in atmospheric carbon dioxide concentration increase plant photosynthesis and the amount of carbon stored in vegetation. 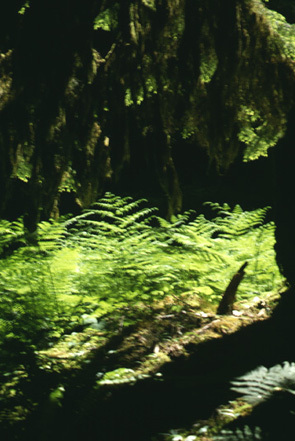 However, increases in temperature also lead to increases in plant and soil respiration rates, which tend to reduce the size of the terrestrial carbon store. 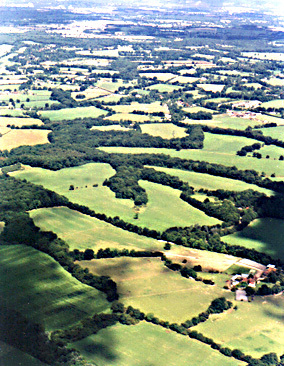 In some regions, the changes in climate (such as decreased rainfall) can also reduce plant photosynthesis and reduce the ability of vegetation to sequester carbon. Design is the intentional shaping of material, textures, objects, structures or features so that places are either functional, appropriate or conducive to physical occupation, use or habitation. A.2, Can you think of other categories of connections between natural conditions and cultural demands? 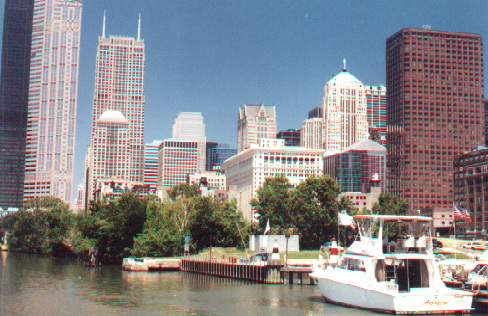 Chicago River, urban waterfront and cityscape, Illinois state. Southern British Countryside with hedgerows, UK. "Inhabit without destroying." Van der Ryn, p. 57. 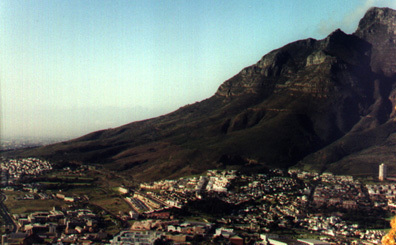 Table Mountain above the Capetown flats, South Africa. Quadrangle designed by Thomas Jefferson, the University of Virginia.
" 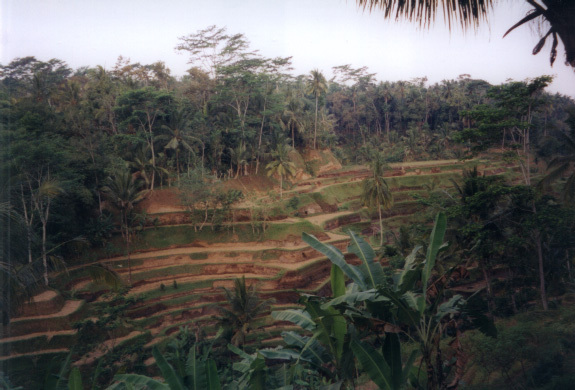 a design process that has the preservation and restoration of the ecological commons at its core." Van er Ryn, p xi. Olympic Mountains rain forest, Washington state. 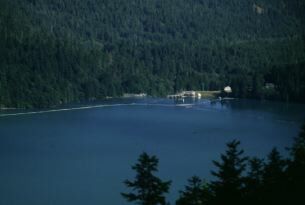 Olympic Mountain Reservoir, Washington state. 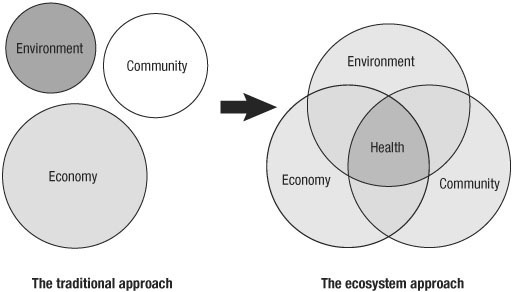 Emergent properties complicate how we must effectively solve problems.